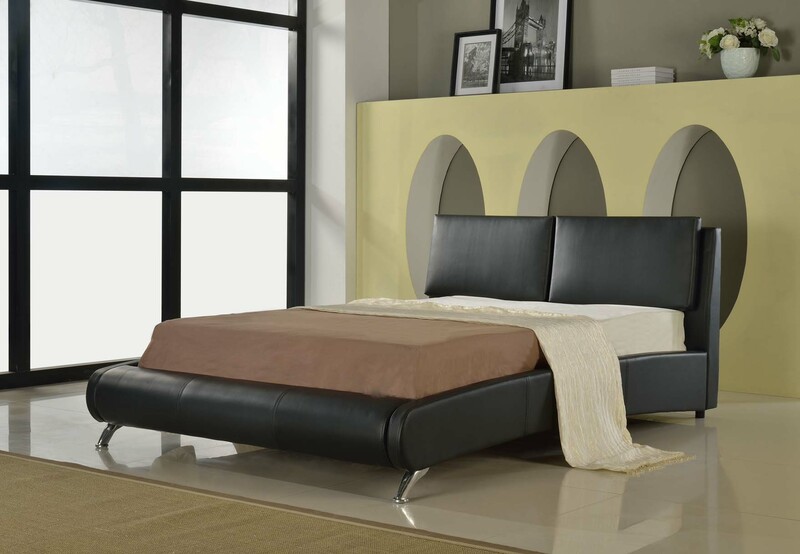 This stylish Italian bed is the perfect addition to any modern room. Available in Black or Brown Faux leather in either Double 4FT6 or King 5FT size. The Bed has a slatted rib cage bed with a centre metal rail making it extra strong for most types of mattresses. 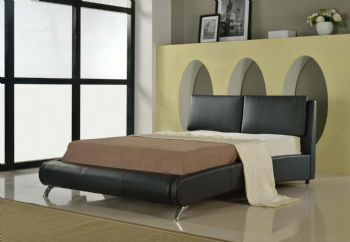 The headboard cushions provide a stylish look while providing extra added comfort. Delivery cost of this bed is set as £19.99 as a standalone bed or as a set with a mattress.